Showers are available at no cost to the public at our main building – 510 South 8th Street, Minneapolis. Upon arrival, guests must check in at the front desk where they will receive a towel and soap. 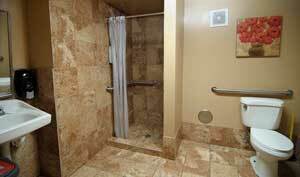 Our Public Shower is open from 9:00am- 1:00pm, Monday through Friday. Our public shower was used a total of 998 times in 2016. We always welcome donations of towels, soap, and other toiletries. Please contact us at 612-594-2000 or info@houseofcharity.org if you would like to contribute.